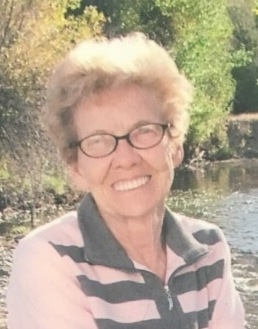 Is with great sadness that we announce the passing of our mom, friend, sister, and grandmother, Lois Irene Griffith, who passed away on April 12, 2019 in Ogden, Utah. Lois was born in Kansas on May 31, 1931. She moved to Ogden with her family, where she met her sweetheart Howard Griffith. They were married on February 15, 1949 and had celebrated 52 years of marriage before his passing in 2001. Together they traveled throughout the U.S. with their family. Mom enjoyed photography, her family, and time spent with her siblings at sib lunch, trips, and “karaoka”. She is preceded in death by her sweetheart, Howard; mother and father, Ward and Muriel Courtney; siblings: Ester, Evelyn, Carl, Don, Linda. She is survived by her 4 sons: Doug (Deb), Greg (Debbie), Gary (Debra), and Mark (Annette); 16 grandchildren; 27 great grandchildren; 11 great-great grandchildren; siblings: Eleanor Bush, Dorothy McKenzie, Sue Woods, Jimmy Courtney, Ivan Courtney; and numerous nieces and nephews. Graveside services will be held at Coalville City Cemetery at 2:00 p.m. on Thursday, April 18, 2019. In lieu of flowers please make donations to St Jude’s Children’s Hospital. The family would like to express their appreciation to Mark and Annette Griffith and family for all they have done to comfort mom in her final days.